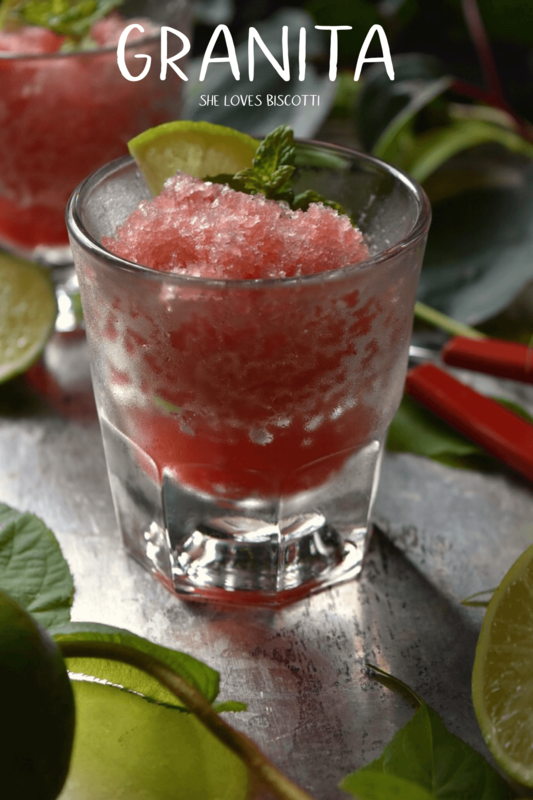 This Watermelon Lime Italian Granita Ice is the perfect recipe for a summer treat. It is refreshing, healthy, easy to make and most of all, it tastes great! Keep cool during those hot summer months with this Granita Ice! The simple mention of granita will probably elicit visions of lemons and rightly so. Sicilians figured out a long time ago that when you combine water, sugar and different flavorings (the most popular being lemons and coffee, both found in abundance in Sicily) you end up with a totally refreshing light dessert. But do you know that there are infinite possibilities when it comes to granita flavorings? Granita, as you probably know, is simply flavored ice crystals. There are three ingredients required for this transformation to take place: water, sugar and pureed fruit. The sugar and water are usually combined to make a simple syrup (if you recall, that was the base for this recipe for Homemade Italian Lemon Ice as well as this recipe for Ice Cold Strawberry Kiwi Granita). This simple syrup is then combined with the pureed fruit. Once placed in the freezer, the simple process of scraping the newly formed ice begins. The ice can easily be scraped with a fork. There are many opinions as to the proportion of sugar to fruit that should be used to make granita. In my humble opinion, there is no right or wrong amount… it is all a matter of personal taste. So, it should come to no surprise if I tell you that since watermelon is 92% water and naturally sweet, I will not make a simple syrup for this recipe. I do however use a tablespoon or two of granulated sugar just to help process the mint. But I am getting ahead of myself… allow me to show you! As I mentioned, there is no simple syrup in this recipe, but I do use about 1-2 tablespoons of granulated sugar and process it with mint leaves in a food processor until it has been finely minced. I will try to remove any tough parts that have not been processed. I will then add some cubed watermelon, lime juice and a pinch of salt and process until pureed (total amount of liquid is about 4 cups, as per markings on food processor). I will then pour the watermelon puree mixture in a shallow stainless steel pan and place in freezer. 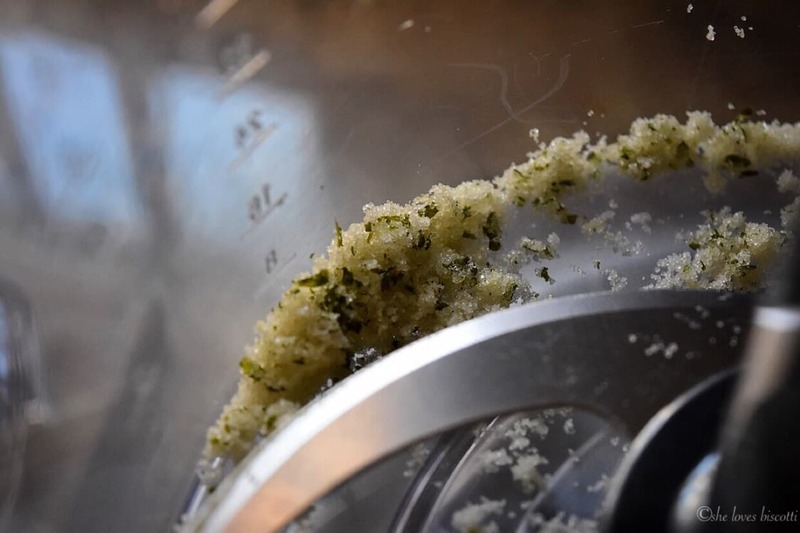 If desired, you can strain the mixture to create a more refined granita. Stir to break up the ice every 60 minutes or so with a fork, for about 3-4 hours. The consistency should be granular but still slushy. At this point, cover and allow to freeze undisturbed for at least 2 hours. When ready to serve, grate from the top (with a fork) and place in serving dishes. Decorate with mint leaves and lime wedge (if desired). During the hot summer months, there is no shortage of recipes for granita. I was inspired by a few recipe links I followed on Pinterest. I adjusted the amount of sugar based on personnel preference. Feel free to do the same with this recipe. This Watermelon Lime Italian Granita Ice is the perfect recipe to beat the summer heat while still trying to enjoy a healthy dessert! If you have made this granita ice, I would love to hear about it in the comments below and be sure to rate the recipe! This Cool Watermelon Lime Italian Granita Ice is the perfect recipe to beat the summer heat while still trying to enjoy a healthy dessert! Place the sugar and mint leaves in a food processor and process until mint has been finely minced. Remove any tough parts that have not been processed. Add the cubed watermelon, lime juice and pinch of salt. Puree until smooth (total amount of liquid is about 4 cups, as per markings on food processor). 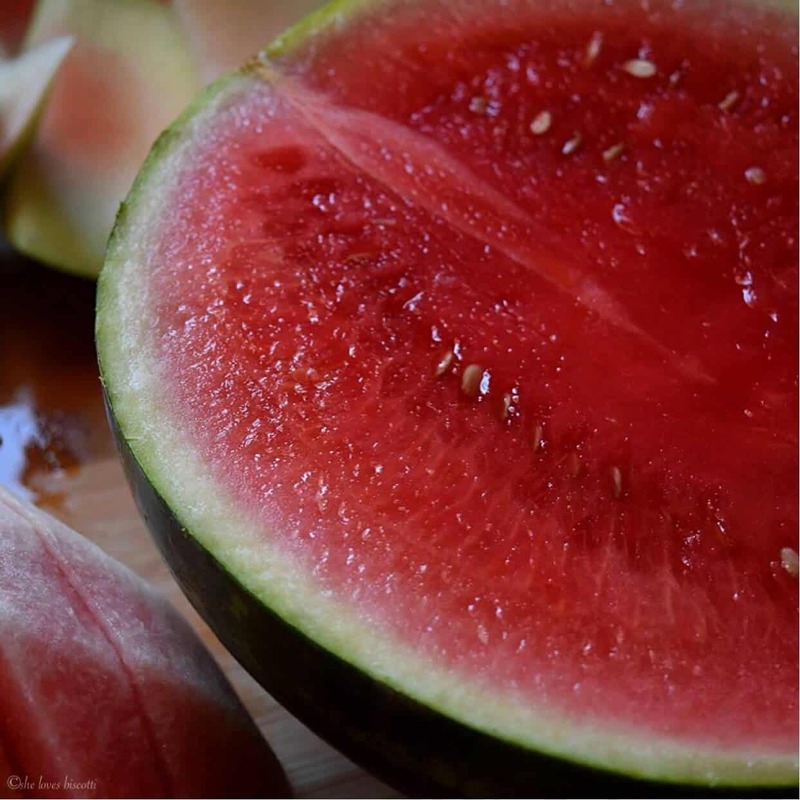 Pour watermelon puree mixture in a shallow stainless steel pan and place in freezer. Stir to break up the ice every 60 minutes or so (with a fork) for 3-4 hours. The consistency should be granular but still slushy. When ready to serve, grate the top (with a fork) and place in serving dish. Feel free to adjust the amount of sugar that you add according to personal preference. DO YOU LOVE THIS GRANITA ICE RECIPE? PIN IT TO YOUR NO BAKE DESSERT BOARD! Love love love this! In addition to being refreshing and flavorful – it is dairy free which is perfect for our lactose intolerant friends and those observing Kosher laws. Sicily is know for watermelon and this makes me think of my recent travels. Your photos are exceptional and make me want to prepare this granita immediately.